An independent test has concluded that the Canon EOS-1D C meets the European Broadcast Union (EBU) standards for HD content acquisiton, making it the world’s first digital SLR camera to meet this stringent testing criteria. The 4K-shooting DSLR was announced over a year ago, alongside a cool $15,000 price tag. The test results indicated that the EOS-1D C provides “exceptional” HD resolution from a 4K source with “very low” aliasing, and “good” color performance and motion portrayal. The test results also confirmed that the EOS-1D C camera system and its imaging performance comply with the recommended specification for inclusion in HD Tier 1 for HD production. In addition, a new firmware update for the EOS-1D C is available now, which enables the camera to correct insufficient peripheral illumination and chromatic aberration when outfitted with supporting EF Cinema Lenses. 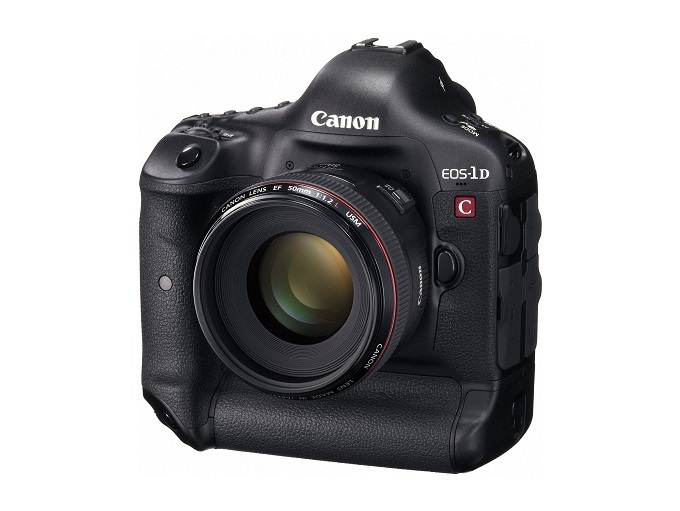 The update also allows the EOS-1D C to accept a line-level audio input via its mini 3.5mm connector as well as improved flicker reduction.